The wealthiest person in Oklahoma, conspiracy theorist Harold Hamm, claims that Russians are financing the anti-fracking movement in America. Of course they are. Russian spies meet at select Starbucks locations and hand over sealed envelopes stuffed with rubles so that Communist-anti-frackers in the USA can pay for water contamination tests in Pennsylvania and photos of frackingly-collapsed homes in Oklahoma. * It is reassuring that Mr Hamm is calling our attention to the Russian infiltration of the environmental movement. We need to be wary, Hamm figures. Oklahoma’s richest person is a fascinating character. Hamm is the youngest of 13 kids in a sharecropper family. He once worked at a gas station, pumping gas and changing tires. He went to work with a small oil company and built it into one of America’s largest businesses, Continental Resources Inc. (America’s Oil Champ, according to the company’s home page). It’s a world leader in fracking. He owns 70% of the company, making his share worth about 20 billion dollars – before the oil crash this winter. The drop in commodity prices (plus a one-billion-dollar settlement in his second divorce) cleaned out half of Hamm’s fortune. He seems to be making a string of mistakes. He sold off his oil futures in September, thinking oil would recover. It was $80/barrel at the time. Instead of rising back to $100 as he expected, it dropped into the 40s. 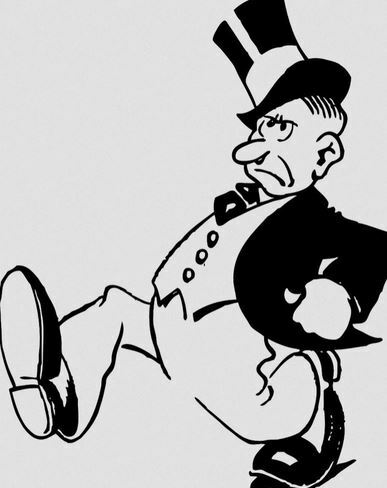 He fracked up royally – this mistake that cost him billions. His company is not in trouble yet. He has slashed corporate spending 50%. But if oil settles below $50 (and I think it will for the next year or so), then Continental may be bankrupted. It is rather painful to see an old man blame the world for his problems, but this seems the case now with 69-year-old Harold Hamm. 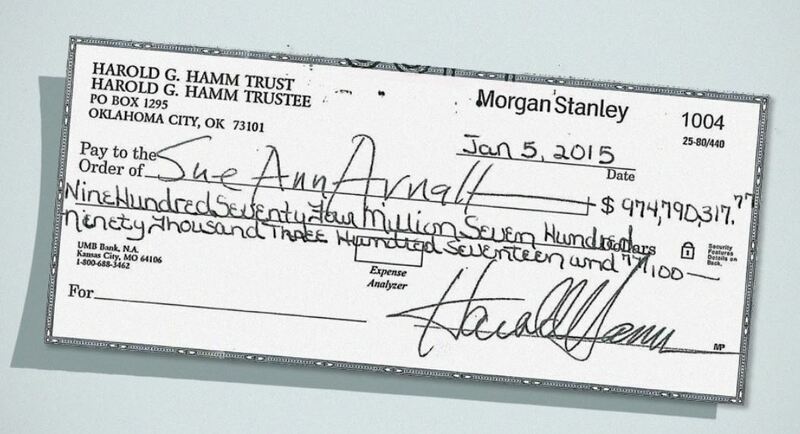 Cheque Number 1004 from the Harold G. Hamm Trust to his ex-wife, for $974,790,317.77. Makes you wonder who got the first 3 cheques from this account, doesn’t it? The wealthy oil man claims fracking – which his company does very, very well – is being attacked by Russian-funded environmentalists. He brought this revelation to a conference sponsored by Forbes, the Reinventing America Summit in Chicago. He told Forbes that Russia has spent a lot of money to “cause a panic over fracking.” It seems more likely that the panic is because of polluted water and wrecked homes. But, maybe we can blame the Russians – they would like to wreck Mr Hamm’s business so more Russian oil can be sold. Mr Hamm has other enemies to fight, too. He has been accused – according to the big pro-business publisher Bloomberg – of trying to get scientists fired from the University of Oklahoma’s semi-attached Oklahoma Geological Survey. It seems those earth scientists are finding a relationship between fracking and the earthquakes which have destroyed homes in Oklahoma. Rather than looking for solutions and trying to mitigate the damages, Hamm is accused of trying to silence the messengers. Although severe earthquakes have increased 400-times in frequency since deep injection came to Oklahoma, Hamm seems to feel the two events are unrelated. To the credit of the University of Oklahoma, the administration seems to have not buckled. Apparently, no scientists have been fired because of Mr Hamm’s demands. An e-mail exchange (released through an access to information) indicates that Hamm has had long talks with the university president and has been accused of pressuring for the firing of scientists who have claimed a link between fracking water disposal and earthquakes. Specifically, one e-mail written by the dean of the school’s Earth Sciences department after a meeting with Hamm says, “Mr Hamm is very upset at some of the earthquake reporting to the point that he would like to see select OGS [Oklahoma Geological Survey] staff dismissed.” The e-mail goes on to say that Mr Hamm would be happy to sit on the committee that would select the fired scientists’ replacements. I’m sure he would be. Nice that such a busy man would be willing to sit on a selection committee picking a couple of university research scientists. that job cost him nearly one million dollars. 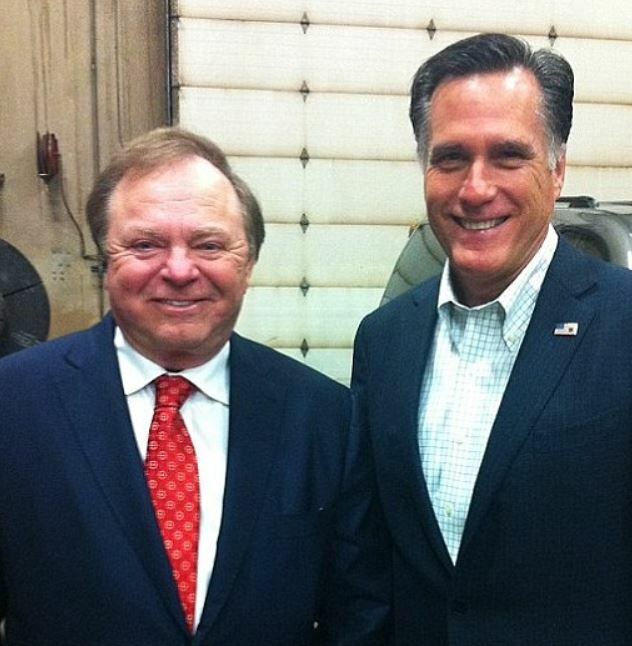 Mr Harold Hamm has been lauded for his philanthropy. He donated over ten million dollars to the university’s Harold Hamm Diabetes Center. But others have pointed out that this gift represents 1/1,000 his wealth and is the same as a typical middle-class American family (worth, say, $100,000), making a charitable donation of $100. And, since Hamm has Type 2 diabetes himself, it sort of becomes much less selfless. Still, it is ten times more money than Hamm donated to Romney’s presidential campaign. (He gave $985,00 to Romney’s Super-PAC Restore Our Future.) Hamm also allegedly exceeded the legal contribution limit by giving $117,000 to other candidates, according to news service Reuters. However, it is still a nice gesture for Hamm to give a wad of cash to the university’s Harold Hamm Diabetes Center. But if there are implicit expectations attached, it becomes less honorable. The tragic part of this story is that Mr Hamm’s obstreperous antics threaten his entire industry. Until alternatives replace it, America needs its fracked gas. It is cleaner than the coal which it is rapidly replacing. It keeps America’s fuel money at home, out of the hands of Putin’s mafia. Gas production employs thousands of decent American folks trying to raise families. It has paid for kids’ piano lessons and university educations. But irresponsible dogmatic truculence might destroy the chance for environmentally-responsible development. Had he not been so ham-fisted, Hamm might have contributed to the Oklahoma University’s scientists’ effort to understand the earthquakes and to find effective remedies. Instead, Hamm provokes shutting the whole thing down – as happened in New York, Quebec, New Brunswick, some European countries, and dozens of American counties. Without proper environmental oversight, it should be sut down.. It seems Mr Hamm’s time is up. He was apparently not able to influence the university’s staffing decisions. His candidate did not become president, even after the million dollar donation. His company’s value has fallen in half. It will fall further when his loans are called this autumn – and not many creditors will care if the Russians are behind Continental Resource’s misery. *Oil-related companies bought three houses after drinking water was ruined; 13 houses were destroyed in Oklahoma by fracking-related earthquakes. This entry was posted in Culture, Exploration, Geology and tagged Continental Resources, fracking, Harold Hamm, Oklahoma, Russia. Bookmark the permalink.